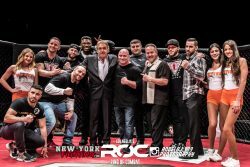 This past Friday, Ring of Combat returned to the Tropicana in Atlantic City, NJ with another night of Championship Mixed Martial Arts. 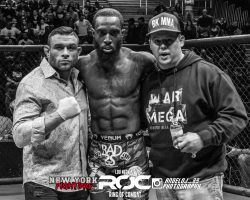 Lou Neglia and Dead Serious MMA Promotions brought some of the best fighters on the east coast together to make ROC 62 a must see night of fights. 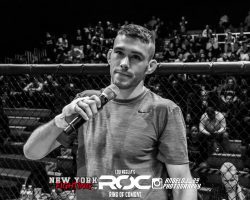 Despite the horrible winter storm moving through the area, fans packed out the arena to see some of the sports future stars in action. 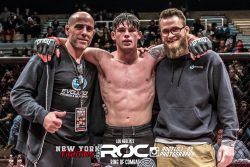 Unfortunately, due to illness, the Main Event of Tevin Cooke vs Bill Algeo was called off at the last minute. 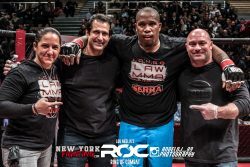 We hope to see these two warriors competing soon. 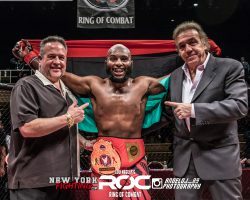 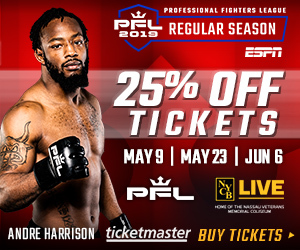 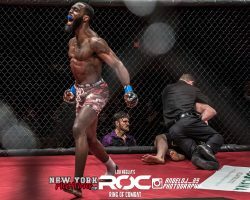 In the new Main Event, Taj Abdul-Hakim defended his welterweight title in spectacular fashion with a headkick KO over challenger Bradley Desir in rnd 1. 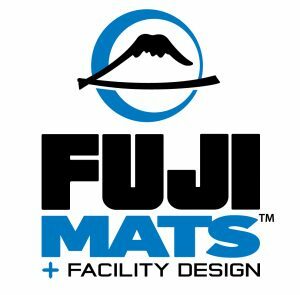 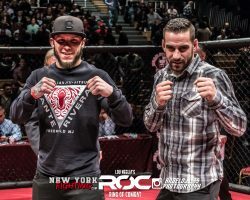 Prior to that, we saw the highly anticipated rematch between Brandon Urquijo and Phil Caracappa, and as expected, it did not disappoint! 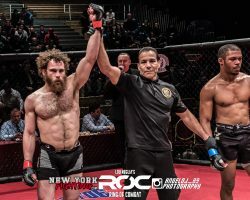 The exciting matchup saw Phil come out on top once again with a unanimous decision. 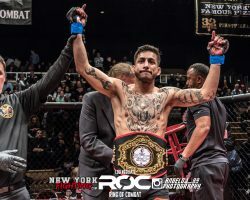 In the first title fight of the night, Tommy Espinosa also captured gold in highlight reel fashion with a stunning round 1 KO over opponent William Elliot. 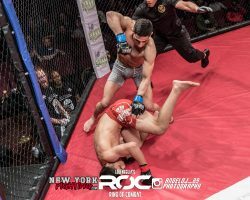 The undercard had some excitement to offer as well, with some old faces returning to the winners circle and some new ones making their ROC debut. 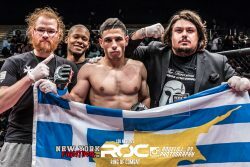 Jerome Mickle and Charalampos Grigoriou both won their fights with vicious round 1 knockouts, making a statement to the rest of their divisions. 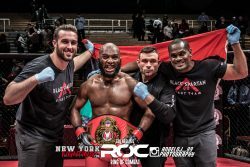 Heavyweight Edwin Smart claimed victory once again via submission, while also showing a much improved gas tank for this fight. 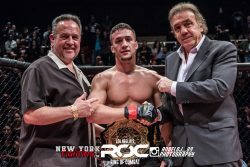 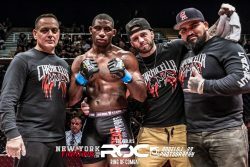 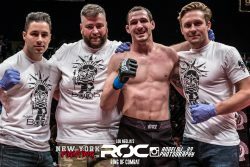 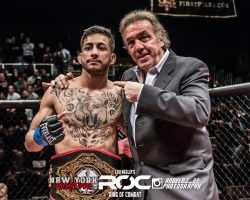 We also saw new ROC featherweight Adam Collarile make a victorious debut via unanimous decision against a tough vet in Sodik Ismoilov. 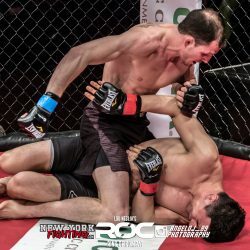 Adam spent years training under MMA legend BJ Penn in Hawaii, and you can clearly see that influence in the way Collarile moves in the cage and the free spirit in which he fights with. 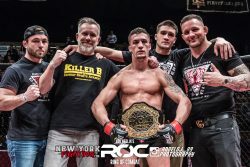 Keep an eye on these men as they climb the ranks Ring of Combat and the sport of MMA. 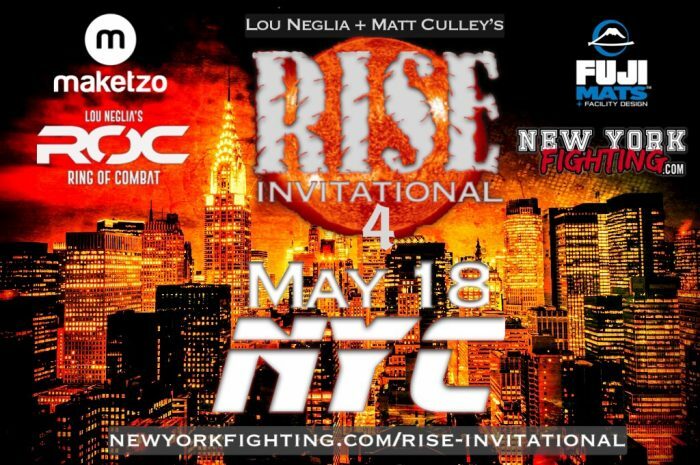 RISE Invitational 4 comes to New York City on May 18 – Sign up NOW!